HOA FEES PAID BY SELLER 12 MONTHS w/acceptable offer!! 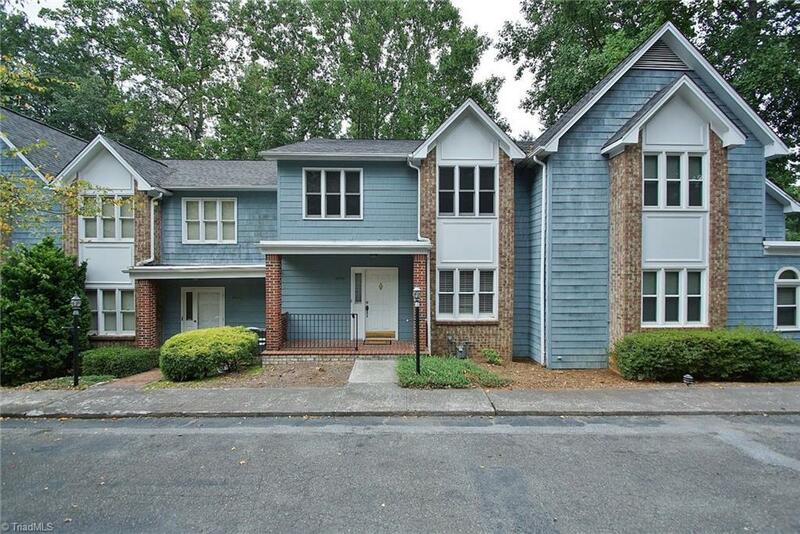 Convenient to WFU, hospitals, shopping and interstate. Spacious 3 or 4 bedrooms, 3 full baths and one half bath. Freshly painted, carpet, flooring, microwave updated and partial bathroom updates. Three levels provide space to spread out for maximum privacy. Fireplace in main level living room, with french doors to large deck. Large living, dining area, wet bar. Master suite features a private deck, en suite bath. Rental $1,400 per month. Listing information © 2019 Triad MLS, Inc. All rights reserved. Listing provided courtesy of Mays Gibson Inc. Information deemed reliable but not guaranteed.